The Best MongoDB blogs from thousands of top MongoDB blogs in our index using search and social metrics. Data will be refreshed once a week. MongoDB newsletter is a comprehensive summary of the day's most important blog posts and news articles from the best MongoDB websites on the web, and delivered to your email inbox each morning. To subscribe, simply provide us with your email address. About Blog MongoDB is the next-generation database that helps businesses transform their industries by harnessing the power of data. The world’s most sophisticated organizations, from cutting-edge startups to the largest companies, use MongoDB to create applications never before possible at a fraction of the cost of legacy databases. Facebook fans 116,010. Twitter followers 286,705. San Francisco, CA About Blog This sub-reddit is for the discussion of MongoDB cross-platform document-oriented database program, related news, new studies and ask question about anything related to MongoDB. Facebook fans 1,148,013. Twitter followers 508,550. About Blog Studio 3T helps thousands of MongoDB developers and administrators with their everyday jobs by providing the finest MongoDB tools on the market. Facebook fans 672. Twitter followers 1,343. Raleigh, NC 27617 About Blog Percona delivers enterprise-class software, support, consulting and managed services for both MySQL and MongoDB across traditional and cloud-based platforms. Facebook fans 49,219. Twitter followers 9,849. Hyderabad About Blog This site is dedicated to providing the latest news on MongoDB. Visit the blog to find useful information. Facebook fans 8,197. Twitter followers 1,764. Bengaluru, India About Blog MongoDB is an open-source document database and leading NoSQL database, written in C . This MongoDB tutorial will give you great understanding on MongoDB. Facebook fans 527. Twitter followers 1,208. Tamworth NSW, Australia About Blog Read the blog to find useful articles on MongoDB. San Francisco, CA About Blog TechCrunch is a leading technology media property, dedicated to obsessively profiling startups, reviewing new Internet products, and breaking tech news. The blog is dedicated to providing information on MongoDB. Read to know more. Facebook fans 2,777,034. Twitter followers 9,645,803. New York, USA About Blog Sisense empowers everyday business users to independently manage, analyze and visualize complex data quickly and cost-effectively. Facebook fans 20,048. Twitter followers 4,794. Orlando, FL About Blog Hi, I'm John Papa. I author this blog, create courses for Pluralsight and am a Developer Advocate. I speak at events, contribute to OSS, and I train technology thought leaders. Facebook fans n/a. Twitter followers 60,696. San Francisco/ Frankfurt About Blog Prof. Dott-Ing. Roberto V. Zicari is Full Professor of Database and Information Systems at Frankfurt University. Browse this blog to find useful insights about MongoDB. Facebook fans n/a. Twitter followers 2,235. About Blog Programmer Blog is a platform for sharing knowledge and techniques on latest web development trends and techniques. Visit Programmer blog for useful articles and video tutorials on new technologies. Facebook fans 172. Twitter followers 468. About Blog ZappySys is a USA based software development company. Here you can get the latest information on MongoDB. Facebook fans 41. Twitter followers 11. Boulder, CO About Blog SlamData revolutionizes the way you explore and understand data by giving you instant, scalable, and direct access to your data. Facebook fans 173. Twitter followers 1,555. Paris, France About Blog M.Labouardy is a Software Engineer/DevOps living in Paris, interested in AWS, Docker, Go, Spring, Angular, DevOps, ChatOps & Android. Visit the blog to find helpful articles. About Blog A blog about enterprise software development and deployment. Browse through the blog to find useful articles on MongoDB. About Blog Posts about MongoDB written by Krishna Prajapati. About Blog The author is a passionate computer science graduate with tons of industry experience in relational database development, tuning, troubleshooting, administration with unique umbrellas skills in modern storage, systems, virtualization, NoSql/ Mongo and security software. About Blog John Page's blog about the magical world of MongoDB hacking. 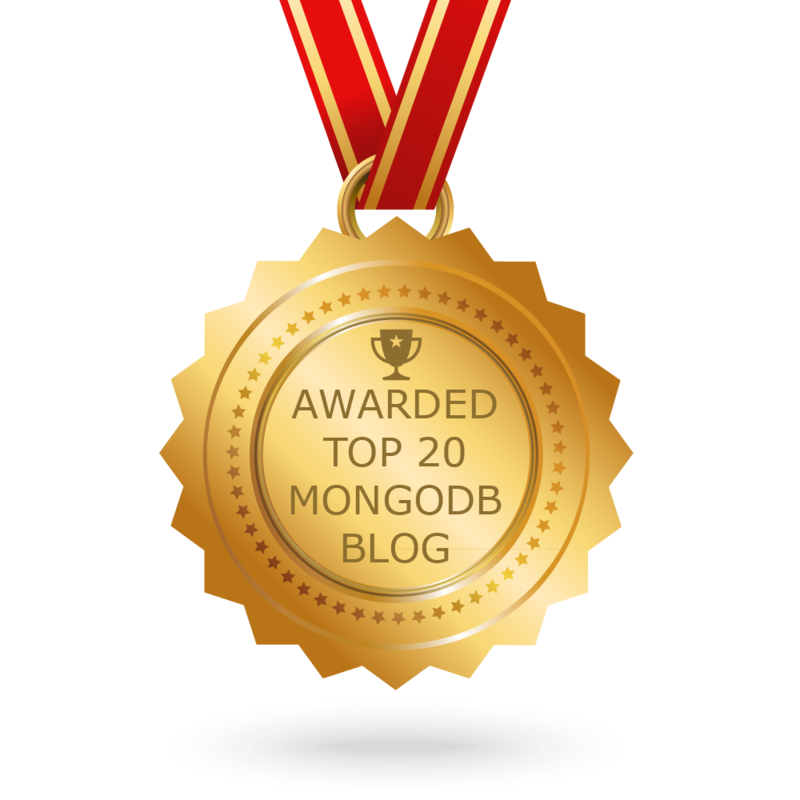 CONGRATULATIONS to every blogger that has made this Top MongoDB Blogs list! This is the most comprehensive list of best MongoDB blogs on the internet and I’m honoured to have you as part of this! I personally give you a high-five and want to thank you for your contribution to this world.